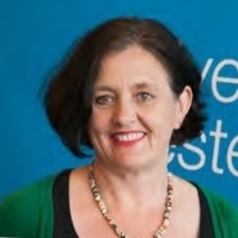 Diana Jefferies is the Lecturer in Clinical Leadership at the School of Nursing and Midwifery at the Western Sydney University. She has twenty-five years’ experience in acute clinical nursing specialising in mental health, drug and alcohol, and HIV nursing. She was awarded her PhD in English Literature from the University of Sydney in 2009. Her current research program integrates her nursing, historical, and literary backgrounds to examine descriptions of mental health issues in historical and literary contexts.